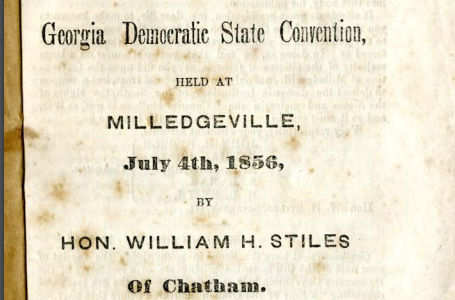 On January 19, 1861, Georgia passed its ordinance of secession at the Statehouse in Milledgeville. It was signed by 293 delegates on January 21. This source document lists the names of these 293 delegates as well as the 6 protest signatures at the bottom. 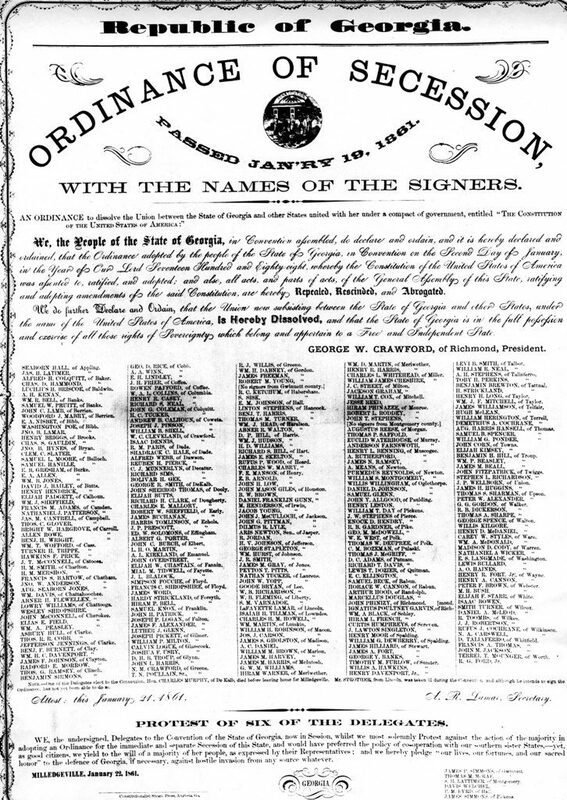 George W. Crawford, who wrote the ordinance above the signatures, was at the time of the signing, a representative of Richmond County but had also been elected chair of the proceedings. Crawford had previously been both Attorney General of Georgia and Governor. Below the original source, the transcription of Crawford’s letter is linked. Ordinance of Secession with Signers. Georgia Historical Society Collection. MS 1361-BS.